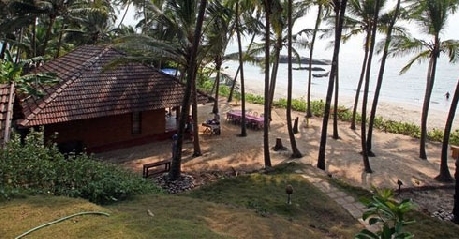 Located by the long stretch of white sandy beach, Chera rock Beach House is a unique hotel that offers home stay like accommodation and services to patrons. 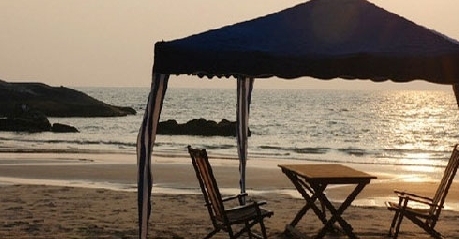 The beautiful setting that it is located upon comprises of green forest’s confluence with the pristine blue sea, makes it one of hottest beach front properties located in Kannur. 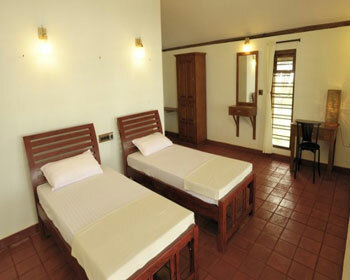 The hotel offers typical Kerala style cottages as accommodation option in two options i.e. Standard Deluxe Cottages and Super Deluxe Cottages. 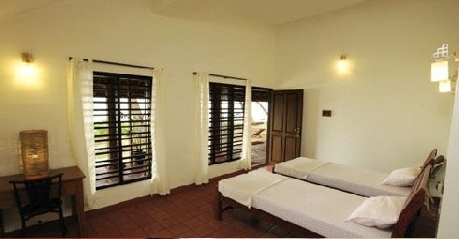 The rooms are minimalistic in nature as far as décor and amenities go, but are very comfortable and offer a peak into the lifestyle and culture of rural Kerala. The hotel also has developed an in house restaurant that serves rare and exotic dishes from Kerala and some popular global dishes as well. 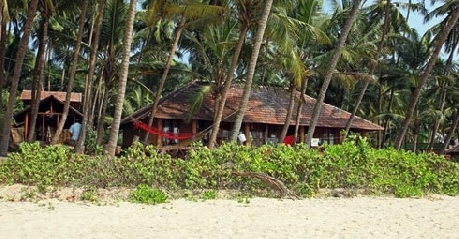 Chera Rock Beach House is designed to offer patrons firsthand experience of Kerala’s rich culture, history and lifestyle and with that aim, the hotel organizes site seeing trips, fishing trips, boat rides, visit to Darmadam Island in country boat, cycling activities and other similar events. In addition to this, the hotel also offers services such as in house laundry service, doctor on call, travel desk, tourist guide and Ayurvedic wellness treatment therapy along with Yoga classes. 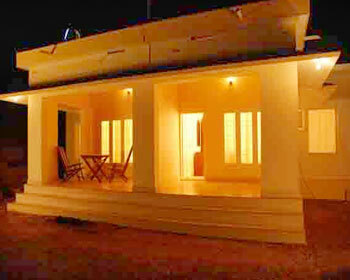 Standard Deluxe Cottages are designed very tastefully that reflect the simplicity and richness of the beach side. These cottages have very calm ambience that helps patrons to forget their worldly problems and bask in the natural beauty that surrounds them. The rooms are fitted with basic amenities such as hot and cold running water, internet access, mineral water bottle, fire place, sit out veranda and other facilities. Patrons can also club their food requirements along with the room booking for further convenience. 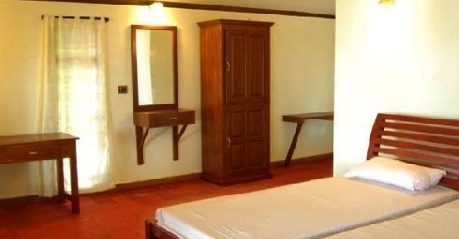 Superior Deluxe Cottages are more comfortable and rich in décor and ambience compared the standard ones. These cottages reflect a certain class and style while maintaining the simplicity; this has made them a very popular accommodation option among both local and foreign travelers. 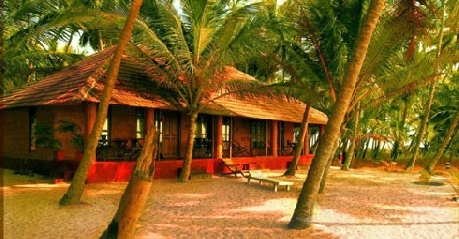 Located right on the beach, patrons can experience a very unique stay experience thanks to the natural beauty and simplistic ambience of the superior cottages. As far as the amenities go, the rooms are equipped with hot and cold running water, high speed internet access, mineral water bottle, fire place, sit out area and many other features. Guests also have the choice of including their food requirements with room plan for their convenience. Kerala is popularly known as the land of spices, and is very popular across the globe for the unique flavor and taste of its cuisine. The in house restaurant at the Chera Rock Beach House tries to revive these rare and exotic dishes for its patrons. Be it vegetarian, non vegetarian or sea food, patrons are sure to find something that appeal to their taste buds. Be sure to try Kerala sadhya which is prepared as per traditional recipe and served in green banana leaves with payasam and papads, during your visit here. In addition to the local food, the restaurant also serves some popular global dishes. 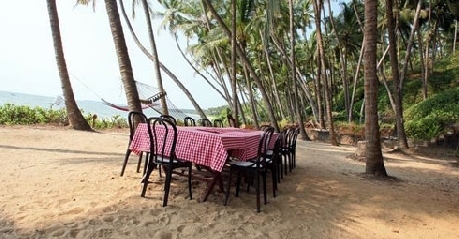 The location just by the sea and the calm ambience of the restaurant makes dining here a very memorable experience.